11 days from today the season will start! At no. 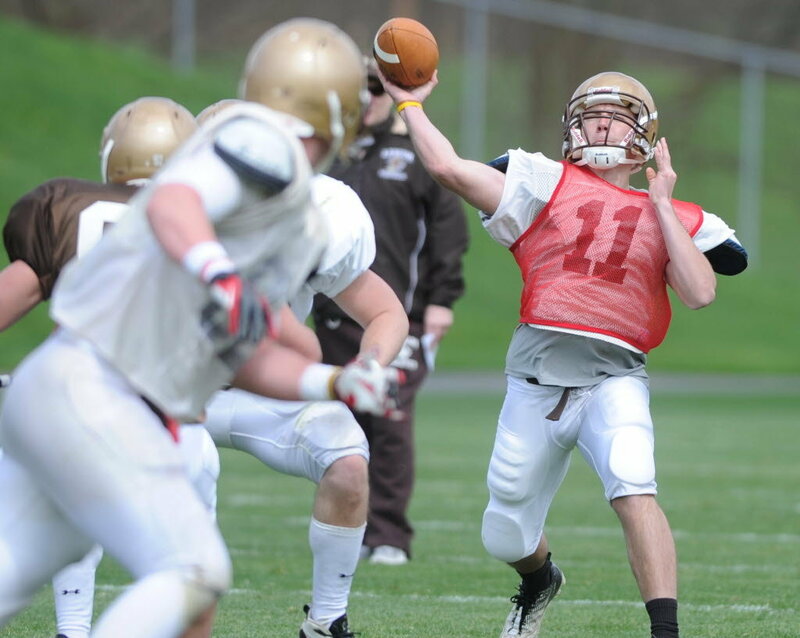 11, we look at junior QB Gerard Poutier as our highlighted Lehigh football athlete today. Despite the meetings with the other coaches beforehand, despite the bustling schedule of Media Day, where coaches are shunted around for two straight hours, fielding video spots, and reporter after reporter with digital recorders in hand, by the time I got to Lehigh head coach Andy Coen, any stress from the commotion was not evident anywhere when I talked to him. Perhaps part of that came due to his incredible success over the past three seasons. With a 31-6 record in the past three years, two Patriot League Championships, playoff wins against the CAA and Missouri Valley champs, and last year’s 10-1 record, his three last years at Lehigh can be stacked up against anyone’s in the country. North Dakota State’s Craig Bohl, who downed Lehigh on their way to their first FCS National Championship in 2010, went 37-7 over that time period. The coach of the team they beat twice for the national championship, Sam Houston State’s Willie Fritz, sports a 31-10 record over that period. Heck, Alabama’s Nick Saban led the Crimson Tide to a 35-5 record over 3 years. A 30 win record over a 3 year period gives you peace of mind, even if last season ended waiting for an at-large playoff bid that never came.